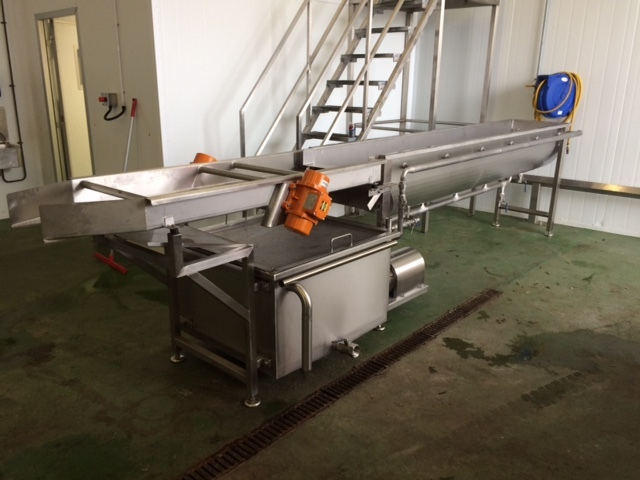 Brand new Flume washer ideal for salad leaf. It is of stainless steel construction. With multi directional spray sparges ensuring an effective washing action.